After giving birth to her triplets, Jennelle McAppion set out to improve her health and fitness. 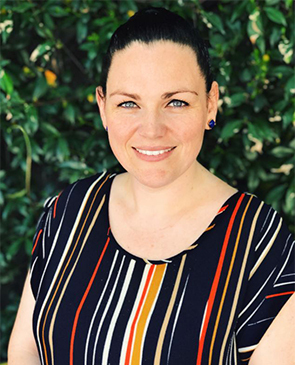 Discovering there were no free or low-cost services for women with children in tow, Jennelle established what is now Mums Exercise Group Australia (MEGA). In less than three years, Jennelle’s organisation has grown to over 20,000 members around Australia who participate in a range of exercise sessions, from pram-friendly walking groups to mums and bubs swimming classes. Coordinating 350 volunteers nationally and 100-plus free exercise sessions each week while working in paid employment and juggling triplets is not for the faint hearted, but Jennelle has been single-minded in her determination to create a welcoming network that motivates others. Jennelle’s own personal journey hasn’t been easy. She’s overcome a broken back from a horse-riding accident, suffered from post-traumatic stress disorder, endured eight years of fertility treatment and survived cancer, but there is no stopping her from helping others find friendship and fun through fitness.